Results-Based Financing (RBF), which offers incentives for behavior change based on results, has achieved practical success in both the health and education sectors. To date, however, applications of RBF in the sanitation sector have been limited. provide output-based aid (OBD) to improving water and sewer connection. For more information please contact Sophie Trémolet at wsp@worldbank.org. 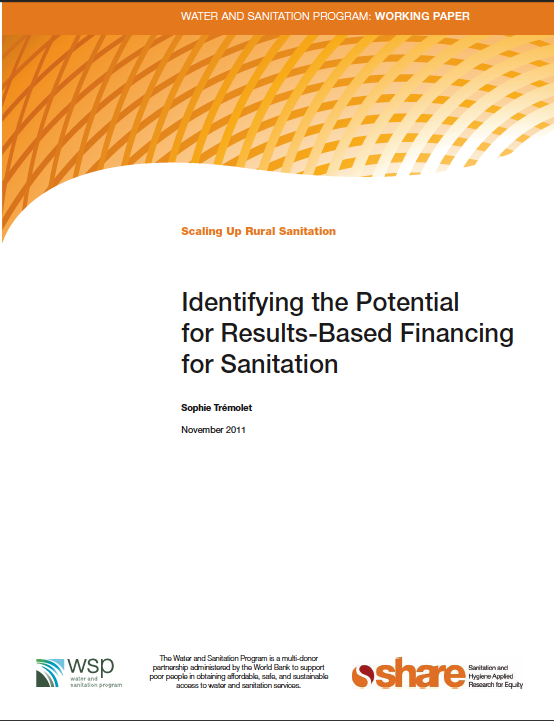 This entry was posted in Funding, Publications, Sanitation and Health and tagged finance, irc's approach, Results-Based Financing, sanitation funding, sanitation incentives, sanitation services, SHARE, sustainable sanitation, Water and Sanitation Program, WSP. Bookmark the permalink.